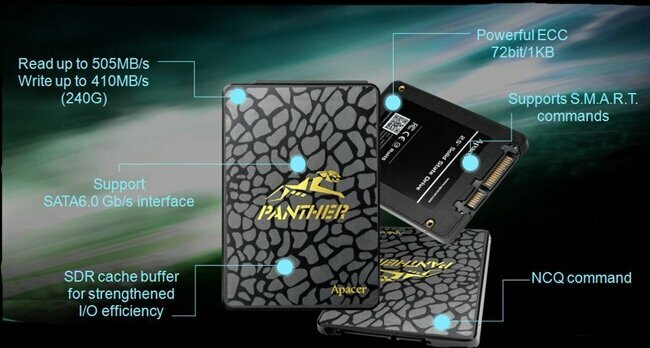 Apacer is delighted to release the reliable and class-leading product AS340 PANTHER, gaming-oriented SSD offering your PC to operate with the fastest speed. Apacer views promoting the popularity of high-speed transmission as its own mission and rolls out the latest SSD, which adopts the next generation SATAIII transmission interface. It provides decent performance of read/write speed reaching 505/410 MB/s(240GB). AS340 PANTHER, the newest SSD of Apacer fills the mid-range performance in the lineup. It adopts the next-generation SATAIII interface, provides fast transmission speed of 6Gb/s. The sequential read/write speed is up to 505/410 MB/s. In addition, PANTHER is the perfect SSD for budding gamers on a budget. Apacer suggests that desktop users use PANTHER as system drive, and the original hard drive can serve as data drive. Therefore, high transmission speed and massive storage can be achieved. PANTHER is thoughtfully available in capacities of 120/240GB to meet the demand of different users. Meanwhile, Apacer publishes specially designed SSD Widget software which allows users to examine the SSD status as well as instant firmware update. Upon upgrading their laptops with PANTHER, users can enjoy performance boost immediately. Boot time and speed of application start-up can be significantly improved. It also features 20G anti-vibration and 1500G anti-shock protections. There’s no need to worry about hard drive failure and data corruption even on the go. PANTHER boasts built-in advanced Wear Leveling and ECC functions and supports Windows 7 TRIM command. These not only extend SSD life and improve operation stability, but also maintain long-term performance. AS340 PANTHER has 3-year global warranty and it will actually perform more stable than many SSDs in normal. 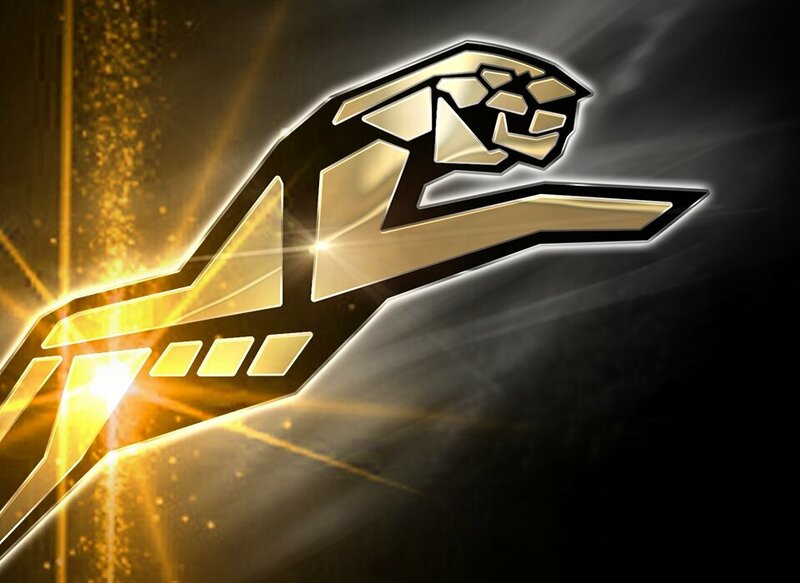 PANTHER is at an unbeatable price, just go for it.